The beauty of the mahi-mahi cannot be fully captured on a Hoo-rag, but we tried! 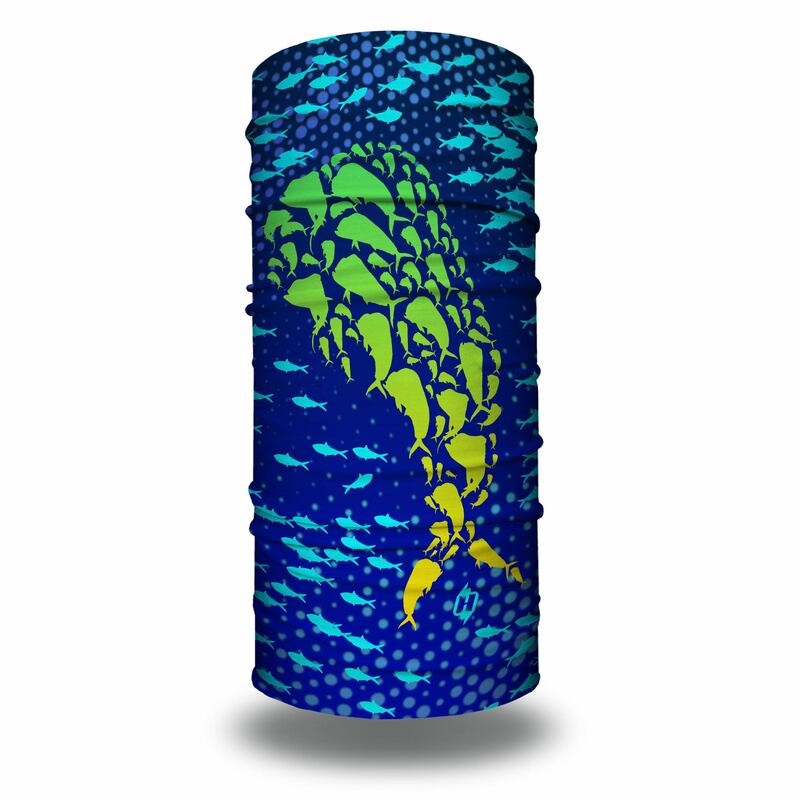 This design showcases the vibrant colors of the mahi and the colors of the waters it lives in. 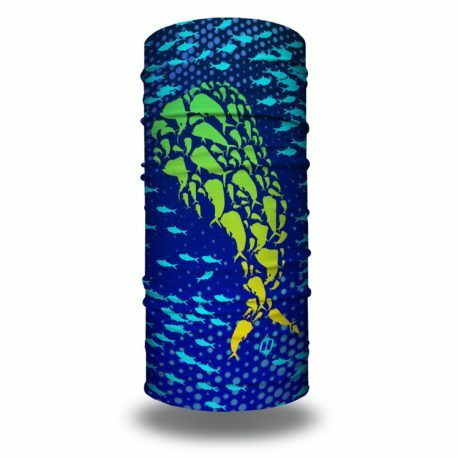 This design is for everyone who has caught this fish or wants to catch one. Saving for fishing season. Very nice pattern. my 16-year old grandson loved this design. 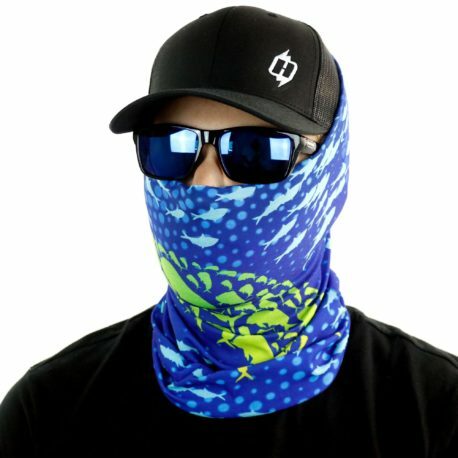 At times he would pull it over his entire face while we skipped over the waters to our destination fishing site 80 miles out in the Atlantic. 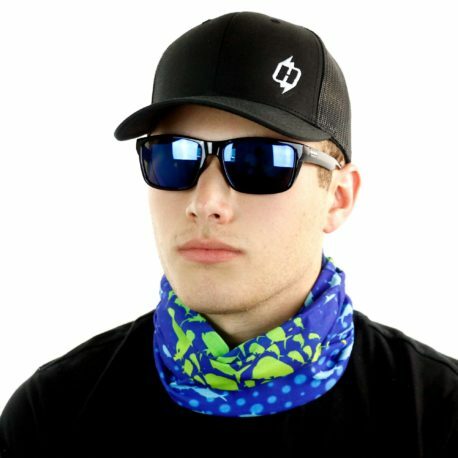 Between the Hoo-Rag and sunscreen, he did not get burned either from sun or wind. Wish there was Hoo-Rag Sleeves to keep arms from wind and sun burn–food for thought. Love this new design. Colors are so bright and material is just great. Don’t know what I did before I found HOO-RAGS.